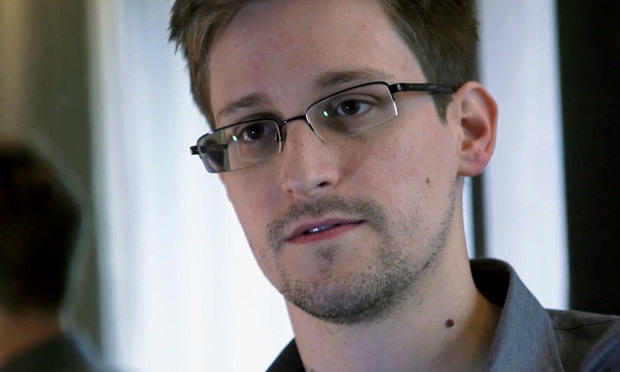 British Conservative MEPs remain still opposed to the Parliament giving Edward Snowden any platform, claiming his leaks are unlawful and have endangered the lives of people fighting terrorism. No date has yet been set but the session is expected to be held in the coming weeks, MEPs are in contact with Snowden’s lawyers to help set up the link but it is unclear whether the testimony will be delivered live or pre-recorded. There is of course concern that a live link might expose Snowden’s location in Russia, Snowden would be talking to the Committee about his revelations which helped expose the mass surveillance programmes like Prism, operated by US’s NSA intelligence agency, and Tempora by the UK’s GCHQ. The idea to have Snowden testify at the parliament came from the Greens in early December, who also want member states to grant Snowden witness protection. “In inviting the central witness in the NSA scandal, the European Parliament is sending an important signal to the world,” said German Green MEP Jan Philipp Albrecht. Jan Albrecht is well known for his expertise in privacy and data protection laws and is the rapporteur of the European Parliament for the EU’s General Data Protection Regulation as well as for the EU-US data protection framework agreement. Albrecht is generally opposed to the lowering of judicial standards in the protection of fundamental rights for the purpose of security means or law enforcement. Since the revelations by Edward Snowden, Albrecht is pressing for reactions by governments and parliaments on the mass surveillance of citizens, it was at his request the European parliament started the investigations on the intelligens programs Prism and Tempora in Summer 2013. In October 2013 Albrecht’s proposal for the EU’s General Data Protection Regulation was adopted by the European Parliaments LIBE committee with a broad majority of all political groups. Since then Albrecht has come to worldwide attention for his engagement on privacy and data protection standards. Albrecht is also leading the upcoming negotiations between the European Parliament and the Council of Ministers on the adoption of the regulation. He is intending to vote on the final bill before the next European elections in May 2014. The vote came soon after the release of the LIBE committee’s 52-page draft report on the NSA inquiry which was launched in July last year, the inquiry was asked to investigate the electronic mass surveillance of EU citizens. The draft report, which was presented on Thursday, condemned in the “strongest possible terms” the mass surveillance of EU citizens by US and UK intelligence agencies. It says an increasing focus on security combined with developments in technology means states know more about their citizens than ever before. Intelligence agencies have moved away from targeted surveillance towards systems of mass and indiscriminate surveillance, seriously undermining the privacy rights of millions, it notes. The non-binding report recommends US authorities and member states prohibit blanket mass surveillance activities and the bulk processing of personal data. The report says Germany, France, Sweden and the Netherlands need to revise their national laws after reports suggested their intelligence agencies were co-operating with the so-called “Five Eyes” snooping club of English-speaking nations. The report also recommends the suspending EU-US terrorist financial tracking programme (TFTP) and the Safe Harbour agreement, TFTP currently allows US agents from the US treasury department access to data on Europeans’ financial transactions so they can identify terrorist money. Snowden revelations reported by Globo TV, a Brazilian network, in September said the NSA had broken into system and secretly extracted data, the European Commission previously closed an inquiry into the allegations after receiving assurances from US authorities that the NSA had not broken into the system. Safe Harbour, for its part, is supposed to ensure firms follow EU data protection laws when processing the personal data of EU citizens but is riddled with loopholes and is rarely enforced by the US federal trade commission. This entry was posted in International News and tagged CIVIL LIBERTIES, European Parliaments LIBE committee, Jan Albrecht, Justice and Home Affairs Committee, NSA scandal, operated by US’s NSA intelligence agency, Prism, privacy and data protection laws, Tempora by the UK’s GCHQ by tamesidegreens. Bookmark the permalink.